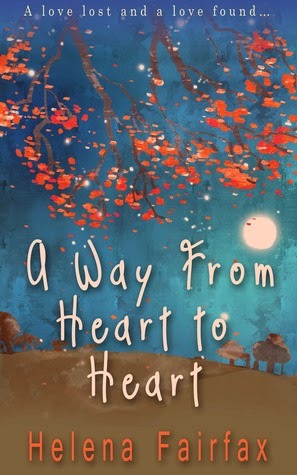 Helena Fairfax, a British author, pens her new novel, A Way from Heart to Heart which is all about second chances, forgiveness, friendship, charity and motherhood tracing a popular model's life after her husband is killed in a suicide bomb attack. Kate a super-model is left widowed after her photo-journalist husband, Stuart, gets killed in a suicide bomb attack in Afghanistan. Kate's son, George was really a little boy when this accident happened, so he couldn't decipher the loss of his father, mostly because it was filled up by Stuart's best friend and a world famous journalist named, Paul, who supported the family like a father for two years. But now, it has become hard for him to hide his feelings from Kate when she asks for a favor to be interviewed candidly by his newspaper, and when that article came out, Paul's feelings for Kate overflowed in those beautiful words. Kate embarks on a journey to help and support a charitable organization of helpless and homeless young teenage girls along with the lingering question whether she wanted to open up her heart for Paul. Firstly, I'd like to say that this is one of the most soul-touching and heart-warming stories that I've read this year. Kate and Paul's journey is one of an enlightening and inspiring ride. Both suffered equal amount of pain, Kate's loss of Stuart and Paul's loss of Kate, from the moment he laid eyes on Kate, he fell in love with her and for all those years he masked his feelings for Kate. And it was really a beautiful moment when the author revealed the feelings of Paul through that article to Kate. The writing is extremely flawless, layered with some deep emotions which can deeply move anyone. The pacing is good, very free flowing, with articulate narrative style which is kept alternating between Kate and Paul and that really let me see through both these character's POV. The author have unfolded the whole story with great depth and because of which I felt engrossed to it's very core. The characters are all strongly developed and the main character, Kate is created with lots of flaws and the author have managed to give her a lot of pain. Kate carried a lot of past baggage from her painful childhood, moreover, after the loss of her husband, Kate became more stronger mainly because of her son. Kate's motherly love have been very compassionately featured by the author. Paul on the other hand, is a man of few words, who is shown very supportive of Kate. There are lot of other supporting characters which too managed to leave an impressionistic mark upon my mind with their demeanor. Overall this is a compelling and emotional story which kept me glued till the very end. I believe this book will appeal to all the contemporary romance readers. Verdict: Do read this moving and poignant love story which will definitely open your eyes about second chances. Courtesy: Thanks to the author, Helena Fairfax, for giving me an opportunity to read and review her book. Helena Fairfax writes engaging contemporary romances with sympathetic heroines and heroes she's secretly in love with. Her first novel, The Silk Romance, was a contender for the UK's Romantic Novelists' Association New Writers' Scheme Award and a runner-up in the Global Ebook Awards.